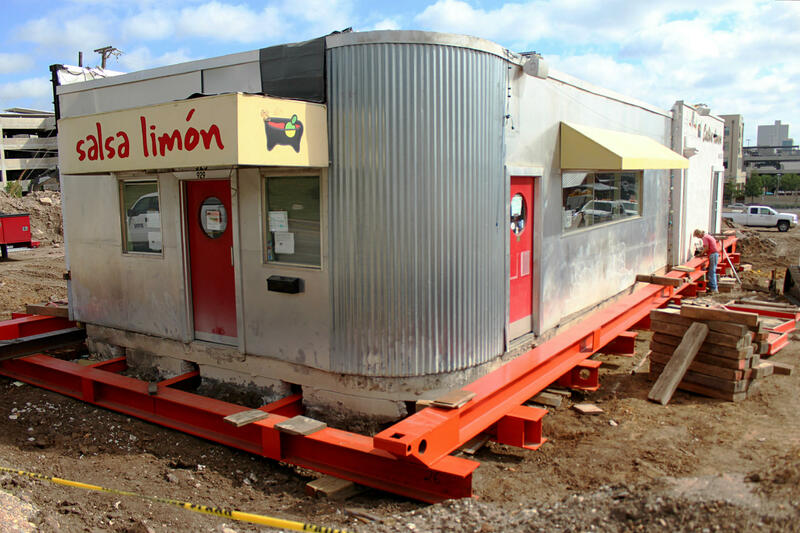 Salsa Limon's "Museo" location is being readied to move across town to a new location. Restaurants come and go all the time, but in Fort Worth’s West Seventh district, a taqueria is going a bit beyond a simple relocation. It’s moving an entire building, complete with its concrete slab, all the way across town. It’s a slow process — one that's weeks in the making and will take days to complete — but it’s a labor of love. The building itself is fairly small, built in the 1940s of concrete, wood and metal. It’s been the jewel of Fort Worth’s growing Salsa Limón empire. Now, it’s empty, the last building standing on a block of brown dirt where old shops and restaurants were cleared to make way for the kind of high-end mixed-use development that’s grown up in the fashionable neighborhood. On Monday, a small crew tunneled under the foundation to assemble a massive frame of painted orange steel beams. Hydraulic jacks will lift the building so it can be rolled onto a flatbed truck, then driven a few miles northwest to its new home on White Settlement Road near the Trinity River. Moving a building isn’t easy, and it’s not cheap. But for Salsa Limón co-founder Milo Ramirez, it’s worth it, because he loved this building long before he leased it. Built in the Art Moderne style, which is sort of a streamlined approach to Art Deco, it has a signature long, horizontal window in the front. Over the decades, the building has housed a variety of restaurants and diners. When Ramirez first stepped inside with his sister and co-owner – it was an unremarkable chain sandwich shop. “And as soon as we walked in, we looked at that panoramic glass, and we though to ourselves, what an under-use of building. And at that moment, 10 years ago, I desired the building,” Ramirez said. Eventually, Ramirez did lease the building, and he and his sister set to work rehabbing it by hand, decorating it with art museum posters they’d collected from around the world in an homage the museum district across the street. When he heard his landlord was planning to redevelop, Ramirez quickly hatched a plan. He made it his mission to preserve the structure. He found funding and a firm that specializes in moving whole buildings. Otherwise, he said, it would’ve been leveled with the rest of the block. “How can you so easily, with a hand on your waist, just disregard it and discard it? It is just not right. I could not do it,” Ramirez said. There’s a lot of love for this little old building. Ramirez said the support he’s received from city officials and developers is a testament to changing attitudes in Fort Worth. It’ll take a few days to move the building and resettle it. Ramirez said he hopes to be up and running at the new location next month. Fort Worth’s Cultural District is home to some of the region’s most prized masterpieces and cultural exhibits. 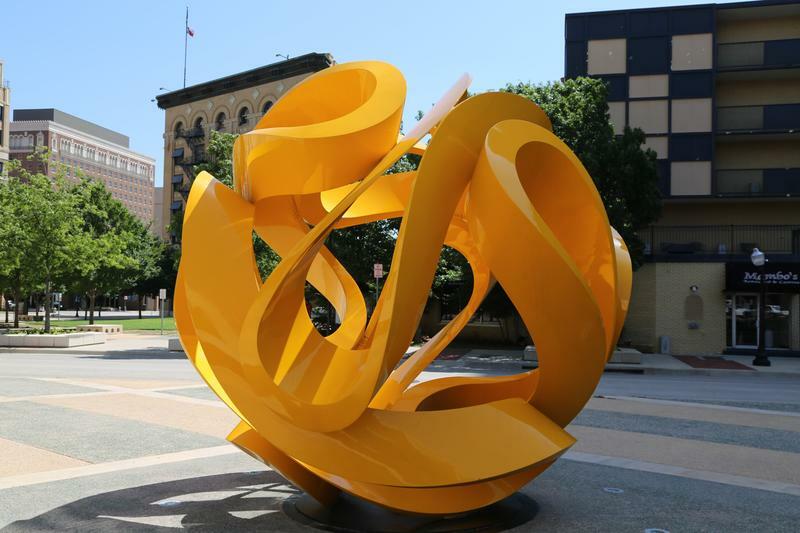 But, whether you’re parking across the street from the Convention Center, jogging along the Trinity River or simply having lunch in Fairmount Park, you’re never very far away from art. 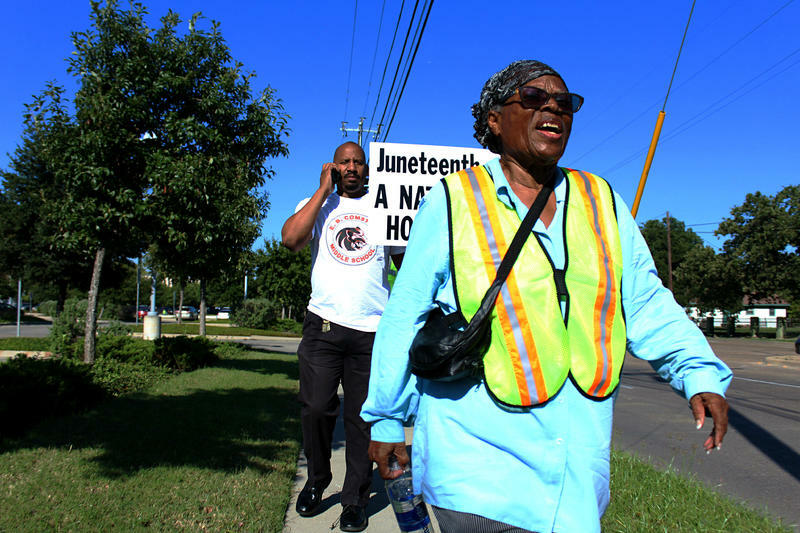 An 89-year-old Fort Worth woman is on a mission to make Juneteenth a nationally observed holiday. Juneteenth marks the day that word arrived in Texas that slavery had been abolished. To bring attention to her cause, she’s on a symbolic walk to Washington, and she’s determined to spread the word any way she can. 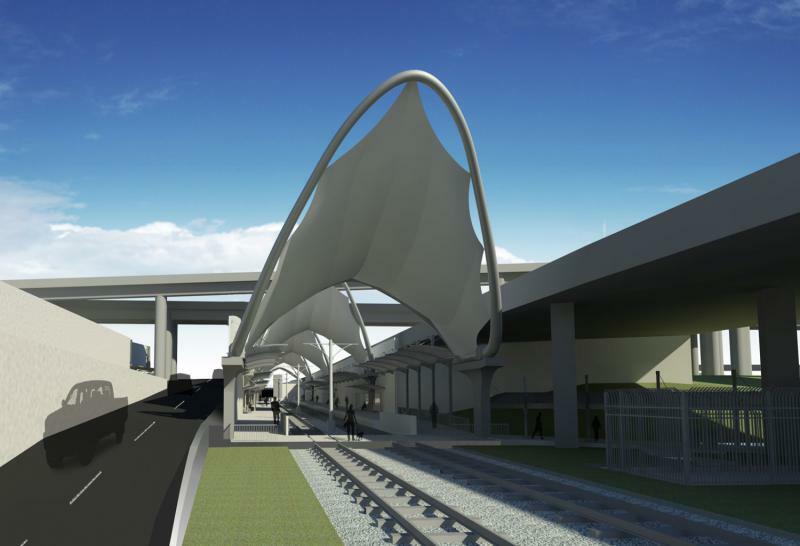 Construction on a $1 billion rail project is about to get underway in North Texas. TEX Rail will link Fort Worth with DFW International, giving Tarrant County a direct route to the airport. 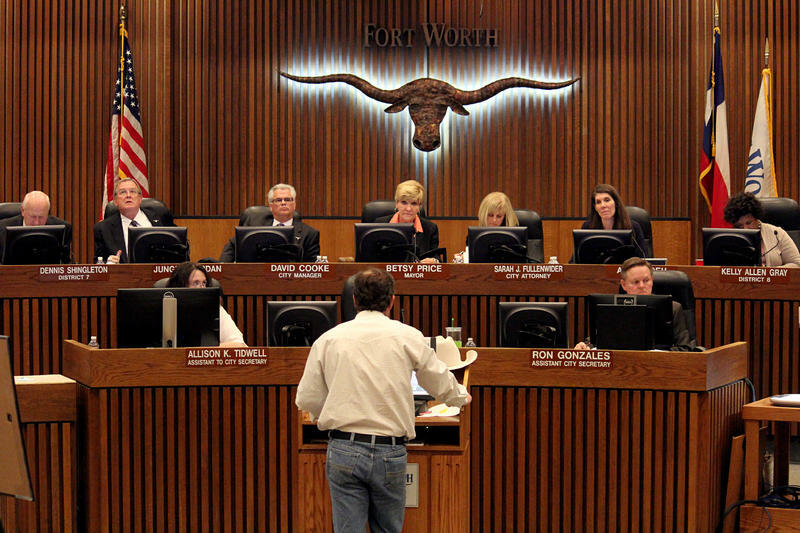 This summer, it’s started to look a bit like a tax revolt in North Texas. Frisco voters just turned down a school tax increase, Dallas schools decided not to ask for a tax hike. And in Dallas County, Judge Clay Jenkins said he wants to cut property tax rates.